Massachusetts is home to many bicycle riders. With beautiful scenery and an abundant area suited to the use of bicyclists, it is no surprise that many riders are out about across our state on a daily basis. However, this comes with the caveat that more bicyclists also means more accidents. Thousands of bicycle accidents are reported in Massachusetts each year. For those who choose to ride their bicycles, there are important laws and safety regulations to keep in mind before heading out for the journey. Most streets and roadways are bicycle friendly and accessible. This also includes sidewalks and other typical pedestrian routes. However, if there is clearly a sign prohibiting bicyclists from entering the area, you are not allowed to ride there. Cities have also adopted specific ordinances which regulate bicyclists and the places where they can ride. Check your specific city code for more information on any local laws in your area. Additionally, most mass transit lines allow bicyclists to bring their bikes onto the train. There are still a few, such as the Green Line, that do not allow this and so you should double check before bringing your bike on board. Signaling. You must use signals prior to turning, usually a hand signal will suffice in most cases. Bicyclists are required to obey traffic signals at intersections, including stop signs, yield signs, flashing lights and stop lights. Pedestrians. Pedestrians have the right of way at all times, including in crosswalks and and dedicated pedestrian crossing areas. Roadway position: Bicyclists should be aware of traffic at all times. They should ride with the flow of traffic. When traffic is heavy or overtaking a bicyclist, the bicyclist should remain as far to the right side of the road as possible to allow for safe passing and reduce the risk of crashes. Right of ways: The same rules apply to bicyclists regarding right of way. A bicyclist turning left at an intersection, for example, must yield to oncoming traffic. Helmets: All riders should wear helmets when riding a bicycle. However, it is illegal for anyone under 16 to ride a bike without a helmet. Reflectors and lights. Your bicycle is required to have a white headlight and a red reflector taillight at a minimum. In general, more lights are better than less. Passengers. Make sure children are properly secured in age appropriate seats. 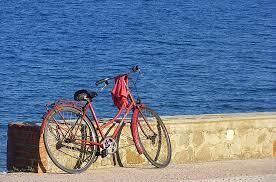 Secure all loose items that are on your bicycle to avoid the risk of injury to yourself and others. Bicycle accident laws and safety regulations are usually common sense. This does not mean, however, that you cannot be seriously injured or killed in a bicycle accident. At the Law Offices of Jeffrey S. Glassman, we appreciate bicycle safety. We see the impact that these accidents can have on the livelihood of bicyclists. If you or a loved one have been injured in a Massachusetts bicycle accident, call us today at 617-367-2900 for a free consultation to discuss your options.